 NCTC's subscription packages are some of the best deals in town! Don't miss out - become a subscriber and save. Click here to see all the productions in our 2019-20 Season. Catch the entire season of musicals, comedies, and dramas! Select any four productions in the 19-20 Season. Are you 35 yrs or younger? Take advantage of this opportunity to see three shows for just $60! Subscribe online or click here to download a subscription form. Click here to see all the shows in the 2019-20 Season.